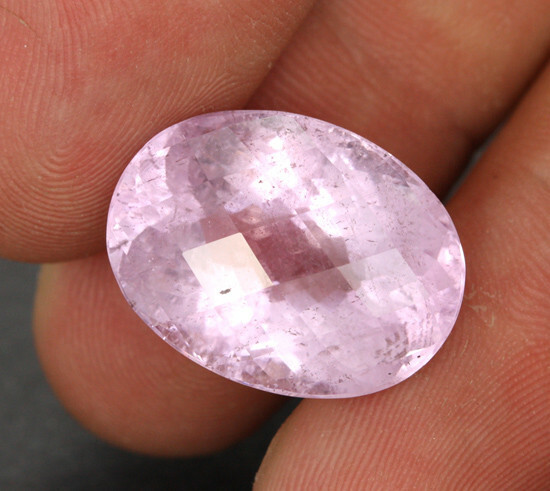 This is a intense coloured stone very well cut and ready for setting. 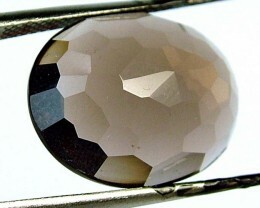 This is a natural stone treated to enhance its colour. 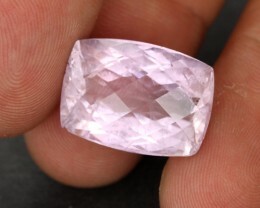 Pale pink kunzite was discovered in 1902 in the Pala District of San Diego County in California. 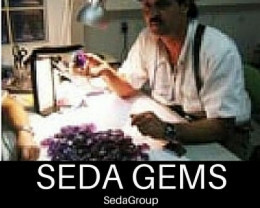 Today, the prism-shaped crystals with their typical vertical striations are mainly found in Afghanistan, Madagascar, Brazil and the USA. 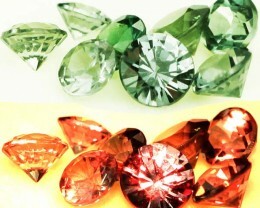 The crystals, or fragments of crystals, often badly eaten away, can attain sizes of up to several kilogrammes. 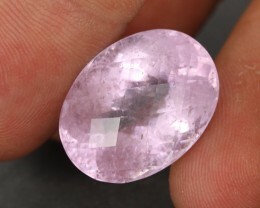 As a variety of spodumen, kunzite belongs to the class of the chain silicates. 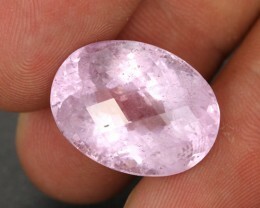 It has minute traces of manganese to thank for its fine lilac colour. 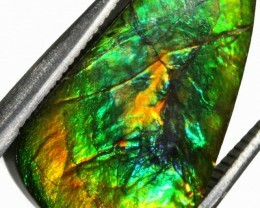 However, the colour can fade in direct sunlight. 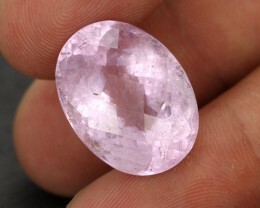 For that reason, jewellery with kunzite should never be worn while sunbathing or on the beach. 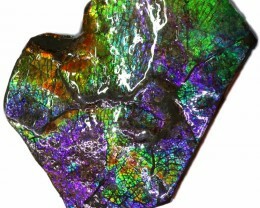 Its hardness is fairly good, between 6.5 and 7 on the Mohs scale. 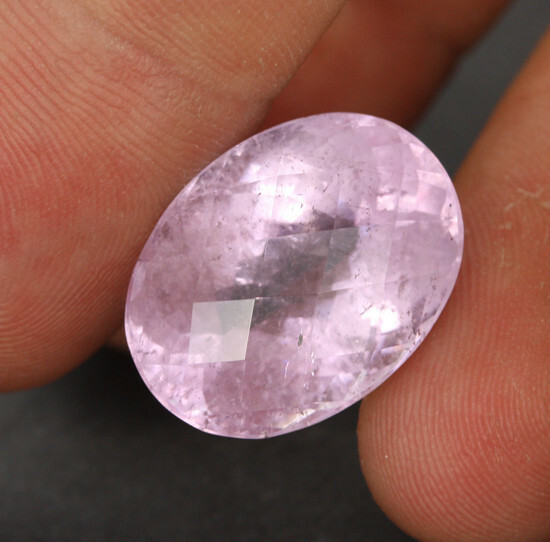 To the chagrin of the cutters, however, this gem has perfect cleavage and is thus extremely difficult to cut. Having said that, once it has been given its final shape, it becomes uncomplicated. But it is very difficult to re-cut. 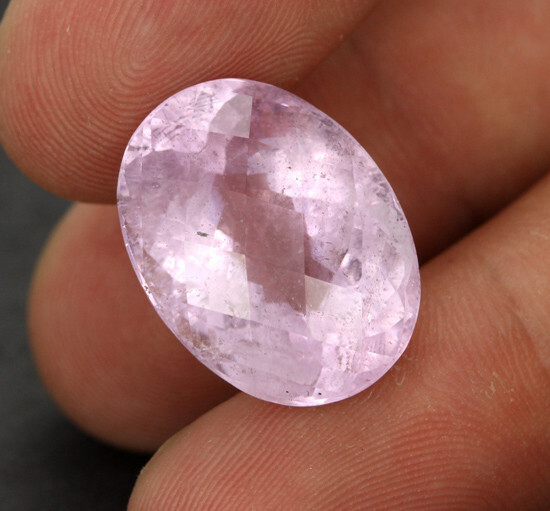 Cut kunzite surprises even experts again and again with its brilliance. 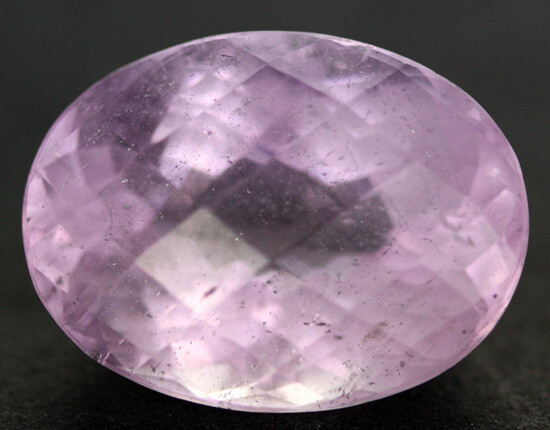 The silvery gloss on its facets forms a beautiful contrast to the fine violet-pink of the gemstone.